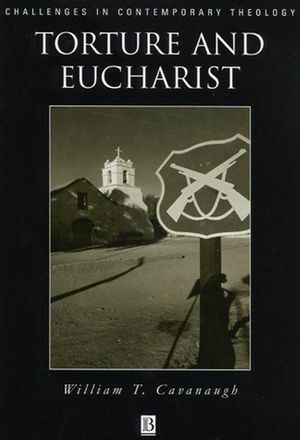 In this engrossing analysis, Cavanaugh contends that the Eucharist is the Church's response to the use of torture as a social discipline. William T. Cavanaugh is Assistant Professor of Religion at the University of St Thomas, St Paul, Minnesota. He is the author of several articles, including A Fire Strong Enough to Consume the House: The Wars of Religion and the Rise of the State (Modern Theology, Vol. 11 No. 4, 1995). Part I: Torture and Disappearance as an Ecclesiological Problem:. 3. The Striptease of Power. Part II: The Church Learns How to be Oppressed:. 8. "I Am Jesus, Whom You Are Persecuting". 9. The Church as Russia. Part III: The Ecclesiology of a Disappearing Church:. 11. The Rise of "Social Catholicism". 12. Catholic Action in Chile. Part IV: A Distinction of Planes:. 14. The Minimum of Body. 16. The Disappearance of the Church. 17. The End of the Story. Part V: The True Body of Christ:. 18. The Mystical and the True. 21. Making the Body Visible. Part VI: Performing the Body of Christ:. 22. "But Father, Look at This Body". 23. Knitting the Social Fabric. Includes interviews with ecclesiastical officials and grassroots Church workers in Chile.